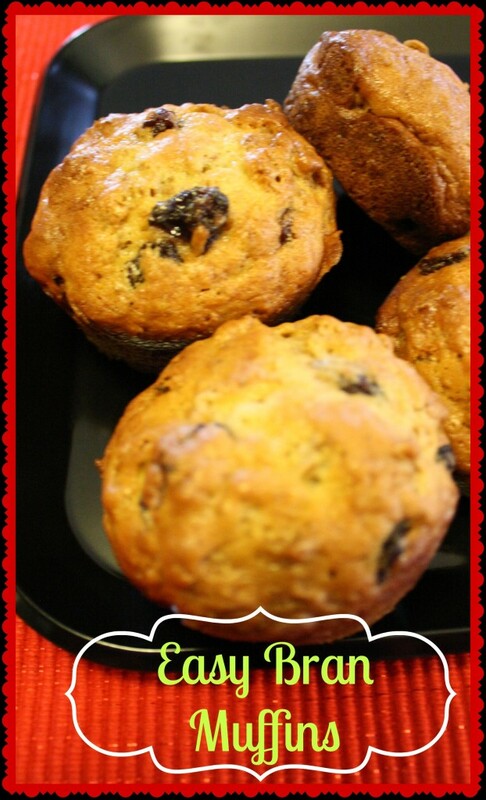 There is nothing better than fresh-baked muffins in the mornings. These easy bran muffins are a quick, yummy, and satisfying breakfast during the week or on the weekends. My Mom used to fix these muffins when I was in High School and I loved them for a quick breakfast on my way out the door. I have made this recipe for over 20 years and it reminds me of home. 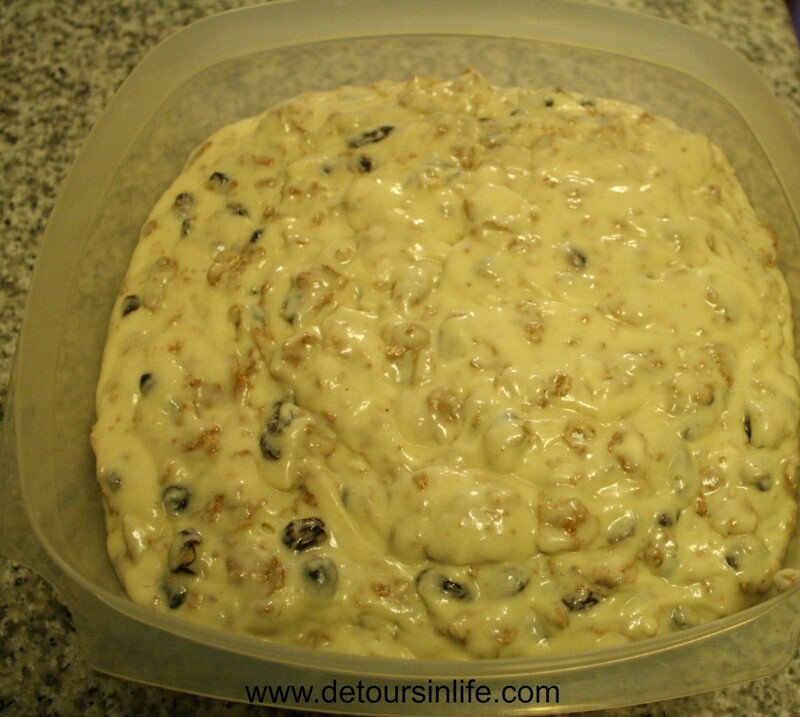 This recipe also is a great source of bran and very kid friendly. When mixing up these muffins, I will use a large cooking pot since my mixing bowls are not large enough to hold all of the ingredients. 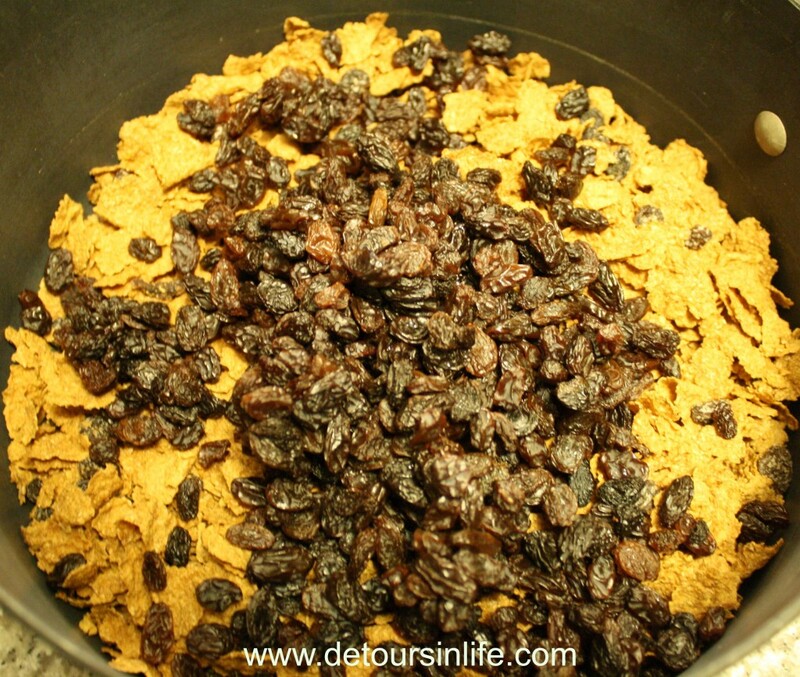 I combine my cereal and raisins and then add in the remaining dry ingredients. 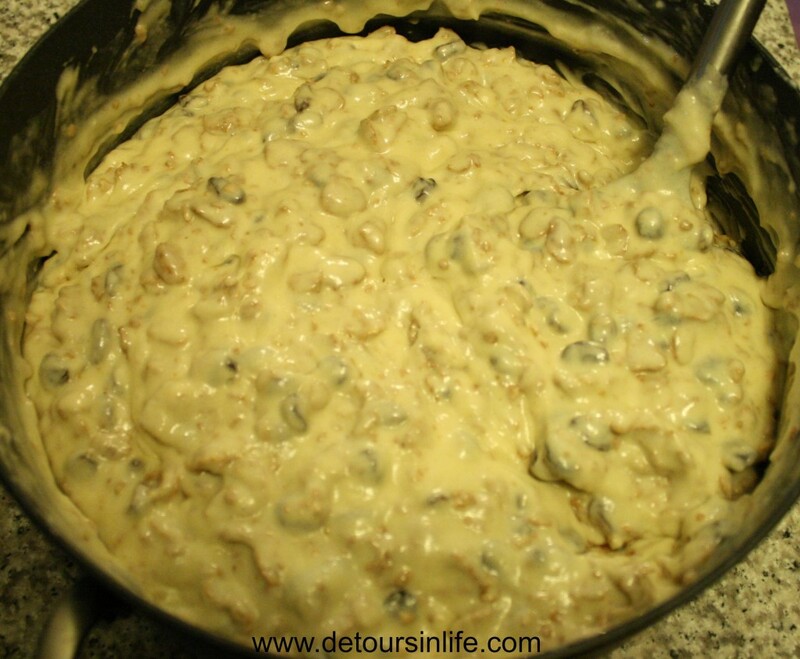 Add the remaining wet ingredients and mix well. Store in the refrigerator in a large container. I normally use a large plasticware container. 1. 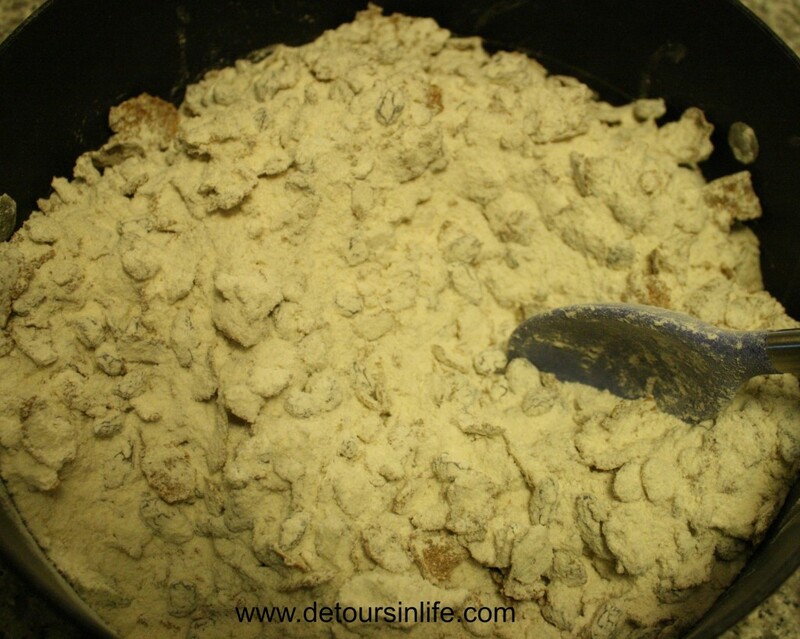 Combine all the dry ingredients in a very large mixing bowl. 2. Add the eggs, buttermilk, and melted butter. Mix well. 3. Store in the refrigerator for up to 3 weeks. 4. To bake the muffins, fill the muffin tin 3/4 of the way full of batter. Bake at 400˚ for 15 to 20 minutes. *If your batter starts to get dry as you are storing it in the fridge, you can add some additional buttermilk to moisten it up. Stir well. Stopping by from the Pinterest/Brag Creative Kids party. I wonder if the raisin bran cereal could be swapped out for whole grain bran and then just adding some extra raisins. These look like a quick easy breakfast. Chrystal – I would think so. I would certainly give it a try! Thank you for stopping by and let me know how it works out if you swap out the Raisin Bran with whole gran bran. I’ve been wanting to try making some muffins ahead of time so that we have quick breakfasts for the busy mornings. These look perfect! Thanks for linking up to the Bloggers Brags Pinterest Party. Your post if now pinned to the Bloggers Brags Pinterest Board. Have just made my first batch and they are delicious. Can’t see the rest of the batter lasting 3 weeks in the fridge. Thank you so much for the recipe.